Until now, studies that involve the ocean floor have been at a disadvantage due to an almost complete lack of accurate marine base maps. 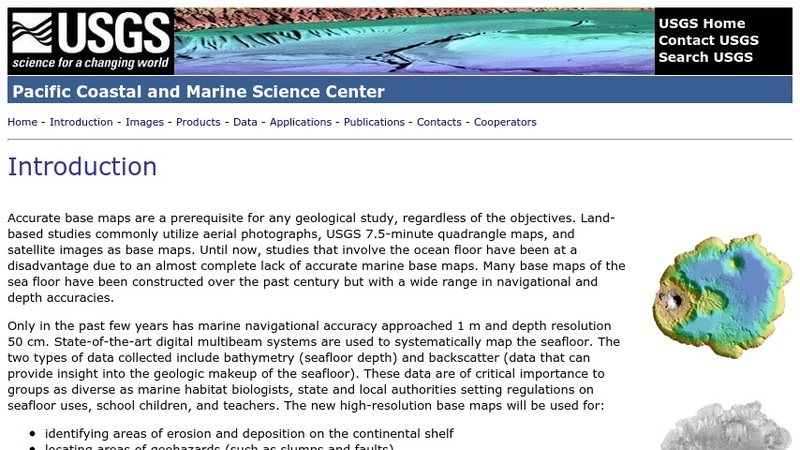 Materials presented here serve to introduce the Pacific Seafloor Mapping Project, an endeavour by the United States Geological Survey to produce high-resolution base maps of the sea floor. These maps are intended for use in identifying areas of erosion and deposition on the continental shelf, locating areas of geologic hazards, and locating pathways for movement of sediment and pollutants.